Yes, you read that correctly. 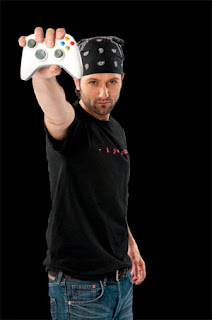 On Thursday, March 25th Xbox Canada will be holding its Game With Fame session with none other than Pure Pwnage's Jarret Cale AKA Jeremy on the show. As most of you may know by now, Pure Pwnage's huge success and following has culminated into what is now a weekly TV show on Showcase. To have the opportunity to play with Jarret you'll have to send a friend request to the gamertag PurePwnageGWF and be online half an hour before (7:30pm) the session takes place at 8pm. If you're lucky and get chosen, you'll have the opportunity to get spanked by Jarret playing NHL 10. Oh, and you have to be a Xbox LIVE Gold member of course. For complete details, check out Xbox Canada's Game With Fame page.